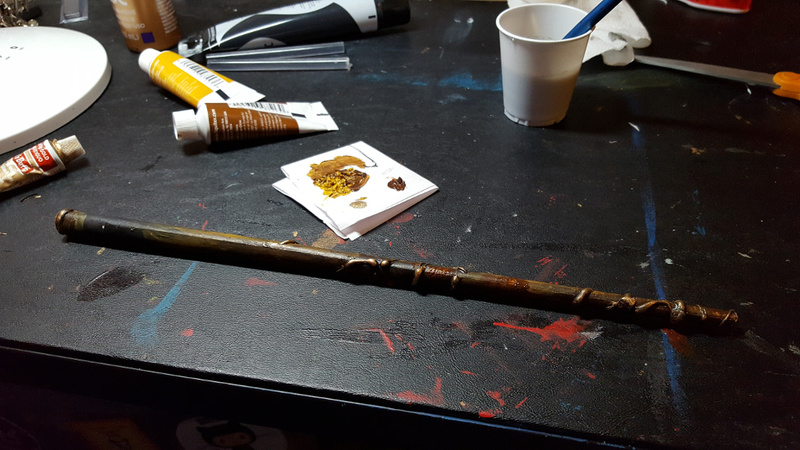 Having recently seen Fantastic Beasts and Where to Find Them, and having some down time thanks to the holiday, we made wands! This project is fun and great to do with kids - but does require extensive use of a hot glue gun, so keep that in mind if you want to do it with younger folk. I can't take the credit for this. The original inspiration and instructions came from this Instructable. 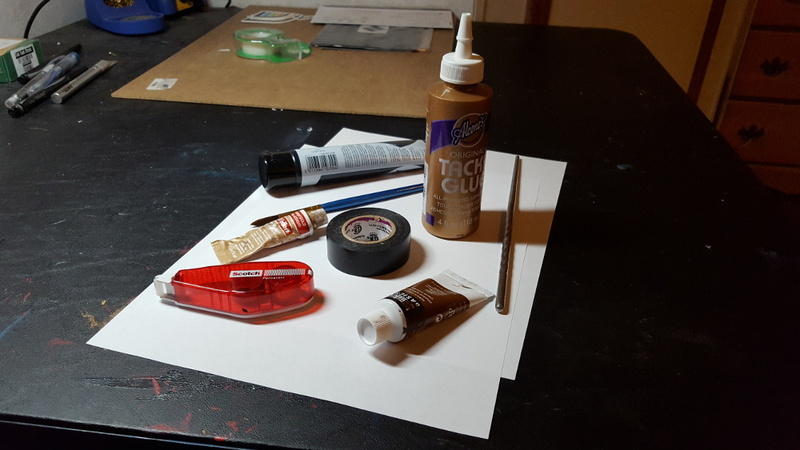 I started with some basic materials (and the above mentioned hot glue gun - not pictured). Next, I rolled a piece of paper into a tight, narrow cone. That metal chopstick in the first picture was just used to help me start rolling up the paper. It's not inside of the want. 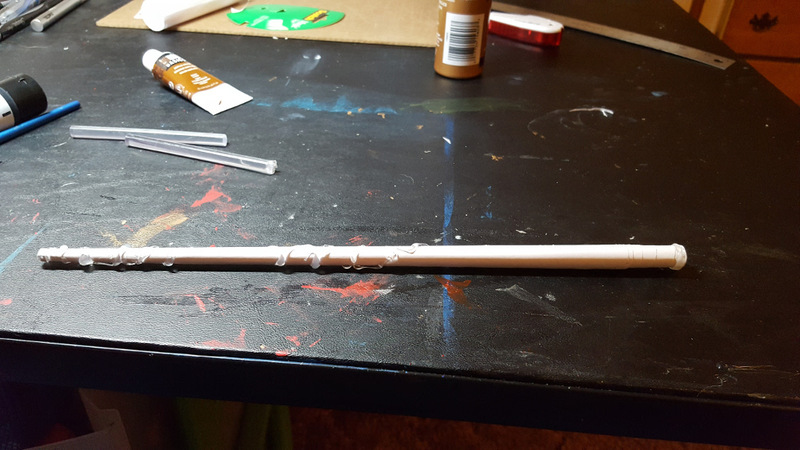 Once that was done, I did roll up another sheet of paper and stick inside of the first, to make the wand sturdier. 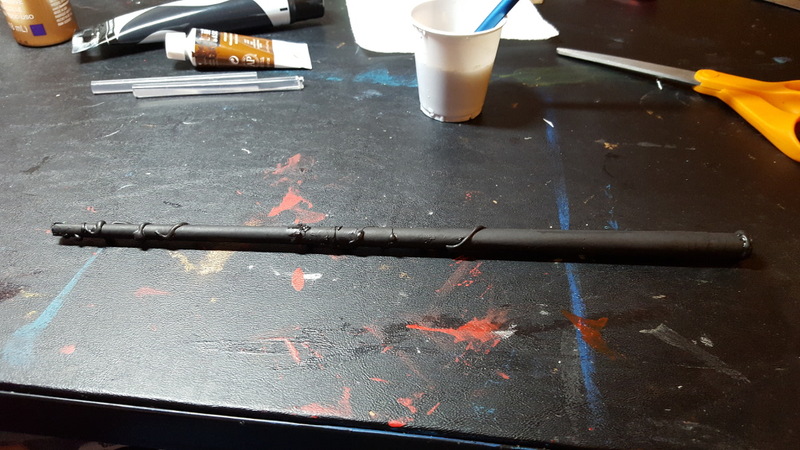 Next, I filled both ends of the wand with hot glue and then trailed glue along the outside of it in a couple of places to add some interesting depth/textures. After that, I gave everything a solid base coat of black. Then I painted it brown - not being quite as careful to cover all the black as I had to cover the white initially. Then, I layered/streaked on some litghter brown to add even more wood-grain like texture and depth. 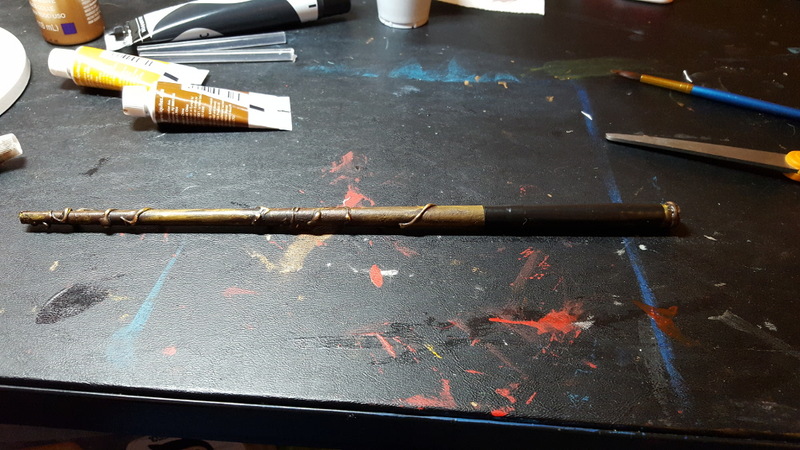 After that was dry, I took my favorite finish - Rub 'n Buff - and used that to add some gold to the higher points where the hot glue encircled the wand. Then, I taped the handle. 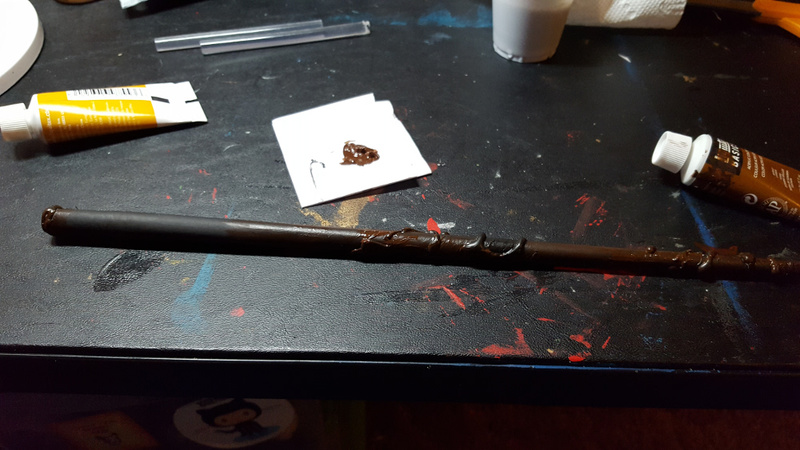 Do wizards tape their wands? I don't know, but I wanted a definitive handle. I thought about wrapping it in leather cord, but the only cord I have is pretty thick. 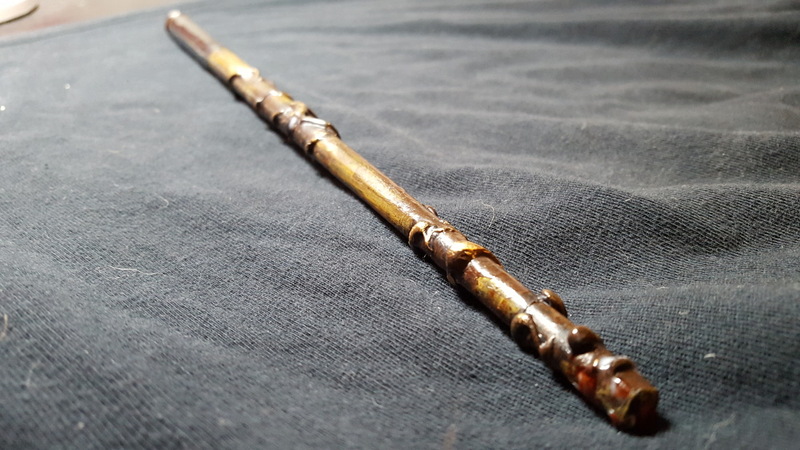 And here's a detail shot of the finished wand! 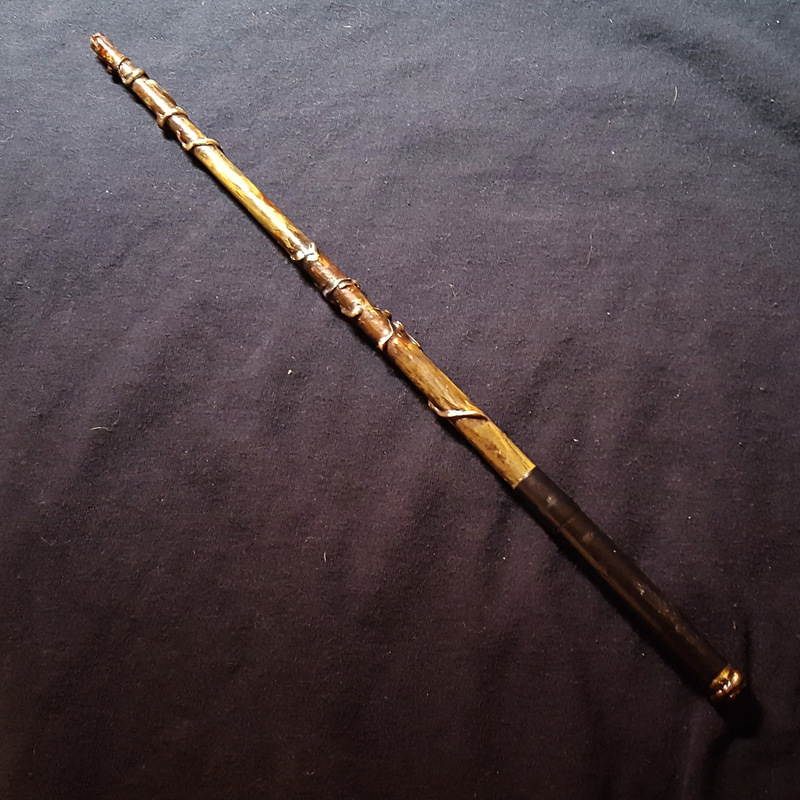 The final, full, complete wand. 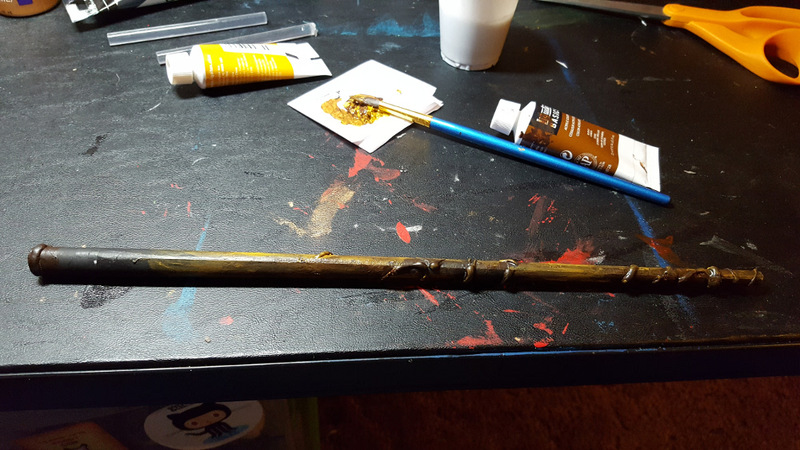 I sealed it with a couple of coats of ModPodge and it gave the wand a nice finish, as well as added some stability. Bonus: The lighting in this picture shows the colors a little more accurately. Plus, I just like the fact that it looks like it's laying on some beat up old potions table or something. Oh, and I added a leather cord to go around your wrist. 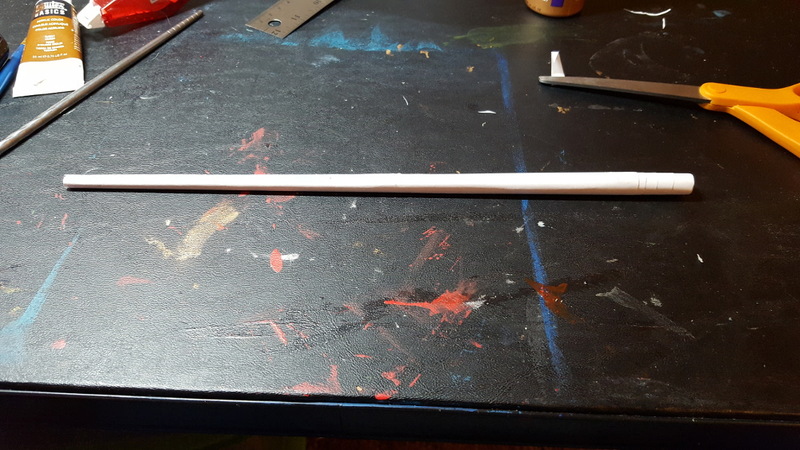 For a couple of sheets of printer paper and some paint and glue, I think it turned out great, and it's surprisingly sturdy.